The minister guaranteed no justice will be done with the victims of the tragedy, Dr Delia charged. Opposition leader Adrian Delia on Tuesday accused Transport Minister Ian Borg of trying to gain political mileage from a road accident which left seven injured and two killed. The public reacted in horror as two Żabbar women died and seven were injured in a dreadful traffic accident close to Mosta on Sunday night. Dr Borg was quick to dismiss any idea the incident could be linked to ongoing road works. "Even in the face of this tragedy, he tries to gain political mileage and turn it into an advert for the leadership bid," Dr Delia said. In doing so, the minister also threw away the procedures related to a magisterial inquiry that started into the incident, the Opposition leader said. How does he have the nerve to throw away the procedures and stultify a process that just started, he asked. In doing so, the minister guaranteed no justice will be done with the victims of the tragedy, he added. "Shame on you, you do not know what decency is," Dr Delia fired in his missive. Turning to the Council of Europe’s Greco report, which was debated in Parliament Monday, Dr Delia said it was shameful the government did not recognise how damning the report was. The report by the Group of States against Corruption (Greco) found the country's criminal justice system was at risk of paralysis unless a redistribution of responsibilities between the police, the Attorney General’s office and inquiring magistrates took place. 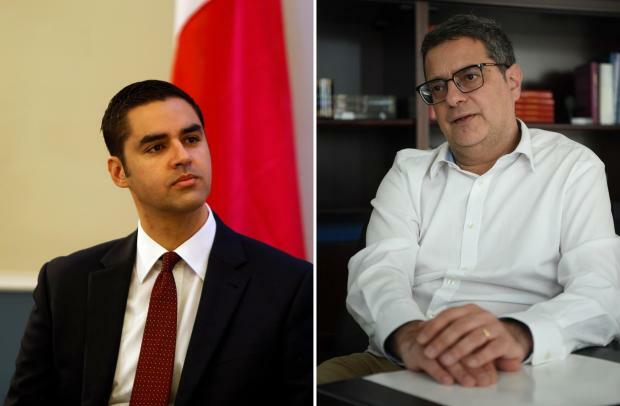 During the debate, Prime Minister Joseph Muscat said the Opposition was partly to blame since it had portrayed Malta in an "irresponsible way" internationally. Dr Delia insisted it was shameful the government did not recognise how damning the report was. As usual, the Prime Minister tried to make it out as though he was guiltless on this, he said. "You appointed 15 out of 17 judges affiliated with the Labour party - was that the Nationalist party that did that," he asked. "Of course we have a dysfunctional democracy," he told supporters in Gzira. The Opposition leader also dismissed talks of any faction within the Nationalist party, saying it was united in the fight for good governance. The Nationalist party has been rocked by revelations that MPs Kristy Debono and Hermann Schiavone - two of Dr Delia's closest supporters - met 17 Black owner Yorgen Fenech for a conference sponsorship. Ms Debono has subsequently apologised for the meeting, while Mr Schiavone suspended himself from the parliamentary group. A riled-up Nationalist party leader closed his speech by calling on people to vote in the upcoming European Parliament elections. "We have six weeks to make our decision," Dr Delia said. Staying home and not voting meant you are signing off on the bad decisions that take place, he added.